Brand New One Bedroom flat furnished to a high standard with all new kitchen facilities. It has it’s own private entrance, parking space on a private driveway and an enclosed patio/garden area. Located 2 mins from the River Stour with plenty of dog walking areas ,local pubs, shops, takeways, supermarkets close by. Lovely riverside walks at Iford and Tuckton. Historic Christchurch Quay (7mins by Car) where you can hire a boat in the summer, cafes, shops, bars, restaurants and excellent nightlife. Hengistbury Head nature reserve and Southbourne beach by Car -5 Mins away - Dogs allowed. JP Morgan walking distance or 5 mins by Car. Bournemouth with miles of award winning golden beaches. A little further a field is the New Forest with Great Cycling Routes, Salisbury, Sandbanks, Poole, Brownsea Island, Studland, Swanage, Corfe Castle and the Purbecks all with Beautiful Scenery. Walkers, Cyclists and Dog Walkers delight. Lymington lovely marina,town with quality market with olives and bread stalls on a Saturday, Ferry to Isle of Wight so you could cycle round the Isle of Wight.Travel links; one minute walk to bus stops, Pokesdown and Christchurch railway stations close by. Bournemouth Airport 10 min drive. Golf Courses, Tennis Courts and Leisure Centres nearby. Breakfast Welcome Pack Cereal, Tea, Coffee, Milk, Sugar, Bread and Butter. Every morning I walk my springer spaniel down the next lane to the river which is a beautiful setting lots of swans, ducks, heron, kingfisher, buzzard, pheasant, and other wildlife, people paddle boarding, kayaking, lots of dog walkers,runners, just a great vibe to start the day. We cycle or walk our Springer up to Hengistbury Head Spit. Love living in this area, as you have the river and the beach. Also lots of great places to visit. The flat is brand new and has its own entrance with its own garden and patio which is a lovely place to chill. Southbourne main High Street with Pubs,cafes, restuarants and tapas bars, nice little hub. Southbourne overcliff lovely pubs, dog friendly and great for walks ,Dog friendly pubs and cafes.Historic Christchurch just up the road with bars overlooking the river, nice and relaxing in the evening aswell. Can take dogs in the Boathouse for lunch or dinner, overlooking the river. Easy Transport Links. Lots of Beautiful places to visit and great scenery. Harbour Heights at Sandbanks has fantastic views from their decking area ,where you can sit and chill, have a coffee, food or drinks. Lots of Great places for Cycling or Walking in the Summer or Winter months. 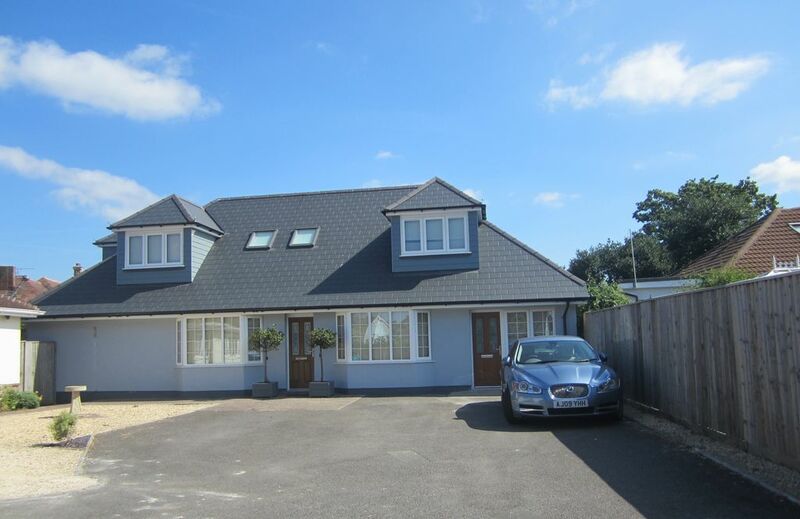 The location of the property is perfect you have the river 2 mins away and Southbourne beach 5 mins by Car. Enjoy a bike ride along the promenade and coastal roads, Visit Hengistbury Head Nature Reserve or cycle to Sandbanks and across to Old Harry Rocks and the Ise of Purbeck via the chain ferry. Lots of lovely places to visit such as Christchurch with its Priory and Quay, Hengistbury Head Nature reserve, Bournemouth, Sandbanks Poole, New Forest, Lymington, Swanage, Corfe Castle, Wareham, Durdle Door, Kimmeridge these are just a few places, I love to visit. Pub on your doorstep, and takeaways. Large Supermarket walking distance. Climate is milder in Bournemouth so Loads of places to walk the dog, cycle, running . Award Winning golden beaches, You can cycle or walk from Southbourne Miles of Sandy Beach leading to Boscombe - Bournemouth then Sandbanks along the Beach. You can get the chain ferry from Sandbanks to Shell Bay, great dog walking beach, then onto Swanage or Corfe Castle for lunch. Great Location for road and travel links, Bus and Train. Bournemouth Airport 10 mins drive. The Flat is on the Ground Floor with a enclosed garden. Walking distance to river where there is also a large dog walking park beside the river. Also river walk, up and over to the golf course. Lots of wildlife. You can use your Paddle Board or Kayak on the River and go up to Christchurch and Mudeford. Southbourne Beach and Hengistbury Head Nature Reserve 5 mins by Car. Lovely Walk or Cycle through woodlands up to Hengistbury Head Spit - Sea on one side and river on the other. Cafe in between or you can get the land train in the summer from Hengistbury Head. Excellent in all aspects. Welcoming,warm ,cosy and well situated. Close to golf courses, tennis, bowling, 2 mins walking distance to river, walking distance to JP Morgan, Southbourne and Bournemouth award winning Beach and Oceanarium, Hengistbury Head Nature Reserve Lovely places to visit Historic Christchurch Quay with Good Nightlife, Sandbanks Poole, New Forest, Swanage, Corfe Castle, Jurrassic Coast. Rent a boat from Tuckton or Christchurch nearby, Dog walking, Lots of Bar and cafes with seating outside which are dog friendly, Dog friendly Beaches, Fishing on river,beach or Sea.